Hamidul Rehman is angry. At 24, he has witne­ssed the sea swallow his home, situated on an island in the Sundarbans, the world’s largest delta, at least six times. Each time his family shifted further inward; each time the ocean pursued them relentlessly. “I can’t be mad at nature, can I?” he asks, his voice quivering with helpless rage. “But it makes my blood boil to see the administration’s attitude towards us. Neither state nor Centre has done anything to check the steady, alarming erosion of our land,” he adds. While swathes of the Sundarbans—the western part of which falls in West Ben­gal—especially coastal islands on the Bay of Bengal like Ghoramara, Sagar Deep and Mousuni, are partially submerged, the plight of their inhabitants, out of sight from the mainland and thus at the bottom of priority lists of administrators, have largely gone unnoticed and unheeded. So acute and far advanced is the problem that scientists have lost hope of saving the area. Even Calcutta is at the sea’s mercy. They are not the only ones in grave danger. According to oceanographers, env­ironmentalists and NGOs who have been tracking the Sundarbans’ gradual disappearance into the sea, the danger is no longer limited to the islands, but has reached the very doorstep of India’s mainland. Earlier this month, a group of experts convened a meeting to chalk out plans of bringing the issue to the urgent notice of governments—local, regional, national and international. Located at a distance of 175 kms from Calcutta, if the Sundarbans go down with all its mangrove forests, there is very little to protect the metropolis from the approaching, rapacious sea. The question is why, in spite of the mangroves, are the islands eroding? “The chief cause of erosion in the Sundarbans is climate change and global warming,” explains Joydeep Gupta, South Asia dir­ector of the international environmental group The Third Pole. Because of CFC emission and greenhouse effect, tem­pe­r­atures across the world have mar­ked a steady annual rise by one degree Celcius, leaving molten glaciers and rising sea lev­els in its wake. As seawater seeps inw­ards, salination causes permanent dam­­age. Salinity has rendered the once fertile Sundarbans uncultivable, making traditional livelihoods like farming and sweet-­water fishing impossible. Most ala­­­­r­mingly, it has caused the ground to become brittle which, when buffeted by dangerously high tides, crumbles and disintegrates. “This has played havoc with the lives of the locals, who are poor farmers or fisherfolk and given rise to large-scale displacement, with islanders either trying to relocate to drier parts or fleeing altogether,” says environmental activist Jayanta Basu, who has been trying to bring the issue to the notice of authorities for the past 15 years. 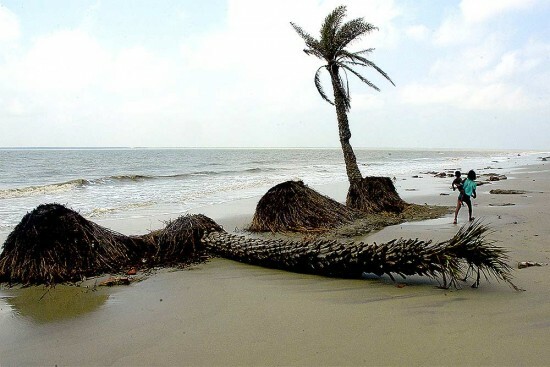 He points out that when Cyclone Aila ripped through the Sundarbans in 2004, killing hundreds and destroying thousands of homes, it demonstrated the magnitude of the problem—that manmade global warming had rendered the Sundarbans too vulnerable to withstand the effects of powerful natural calamities, unlike in the past. “The irony is that the people of the Sundarbans have contributed absolutely nothing to the carbon footprint responsible for global warming,” Gupta notes. In fact, other causes that have exa­cerbated erosion in the Sundarbans have also originated elsewhere. WWF scientist Anurag Danda explains that the landmass of the Sundarbans has traditionally dep­ended on the silt that is carried to it by the Ganga, the main river feeding the delta. In recent decades, the thinning landmass is starved of this vital nutrient, for by the time the river arrives at the delta, its original course is subjected to so many upstream diversions that it just doesn’t carry enough silt. The report cited above is also scathing about the effects of deforestation on the Sundarbans. “There has been an overall and continuous decline in mangrove forests caused by conversion to agriculture, aquaculture, tourism and urban dev­­el­­op­­ment,” it says. Reduced mangrove will increase the threat to human safety and shoreline development from coast hazards such as erosion, flooding, storm waves, cyclones and tsunamis, it adds. This was proved glaringly during the 2004 tsunami, when villages which were protected by mangroves were virtually untouched; localities on either side of these, which lacked mangrove cover, were flattened as waves ripped through them. So acute is the problem, so inexorable the damaging circumstances—rise in global temperatures, unabated diversion of the Ganga upstream etc—scientists have virtually lost hope of a fight to save the Sundarbans. The current focus has shifted from protecting and preserving the land/forest to managing the teeming thousands who face displacement. “The thrust of governments vis-a-vis the Sundarbans should be the abs­orption of the nearly 50 lakh inhabitants,” says Basu. 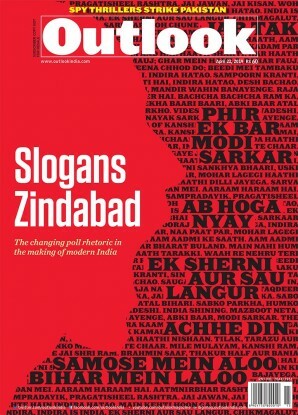 Indeed, as the Sun­darbans, slowly but steadily, looks set to go under, the impending socio-economic turbulence is much more exigent, feel environmentalists. Poi­n­ting out a possible adm­inis­trative nig­­htmare, they advocate pro­­mpt, crisis-­evading decisions.